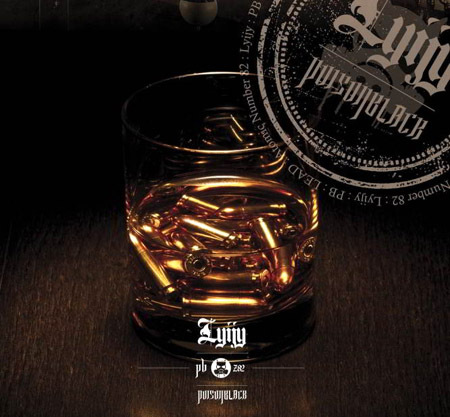 Released on a Friday 13th, “Lyijy” has nothing of bad luck on it. Following the direction which the previous albums had already took, POISONBLACK’s sixth work lives up to its title: “lyijy” is Finnish for the metallic element “lead”, and despite not being exactly a heavy metal album, its sound is a lot heavier and aggressive, far from the goth rock which they began with back in 2000. And still it has that je-ne-sais-quoi that identifies it as POISONBLACK (although the unmistakable voice of Ville Laihiala is enough for that matter). The raw looseness in the guitars of “Home Is Where The Sty Is” is one of the highest exponents of that heaviness, with particular emphasis on the solos. “The Flavour Of The Month” follows suit, with an enforced bass line. And “Death By The Blues” gets the bronze medal, as only the title is bluesy – classic and classy heavy rock riffs. But since we’re talking about blues, let’s jump to the last track, “Elämän Kevät”. The cry of the guitars and the lament of a piano in the background turn tangible a certain melancholy. Also “Maybe Life Is Not For Everyone” is woven with introspective emotions, but its texture, despite delicate, is definitely of a rocky nature. And the acoustic guitars and the low tone in “Them Walls” has a Western whiff, a cowboy modern ballad. The heavy rock from “Down The Ashes Rain” slides easily down the ear, the double voices in the chorus leaving pleasant marks in our memory. “The Absentee” is all that plus a few melodic riffs smoothing the edges, yet without compromising the guitars’ sharpness. And “Blackholehead” stands out for the rhythm cheerful fluctuations and for the key-verse borrowed from Monty Python, “my brain hurts”. “The Halfway Bar” and “Pull The Trigger” are what I call “halfway songs” (no pun intended) – too crispy for ballads, but also too melodic for good ol’ rock’n’roll. They’re not there, however, just to fill the gaps – their sound is too good for that – but to remind us that not everything is black and white, the simplicity of the grey areas is also part of a high quality album. This entry was posted in CD reviews and tagged goth metal, heavy rock, Poisonblack, Warner Records. Bookmark the permalink.